Scrapping completed 23 NOV 2011. 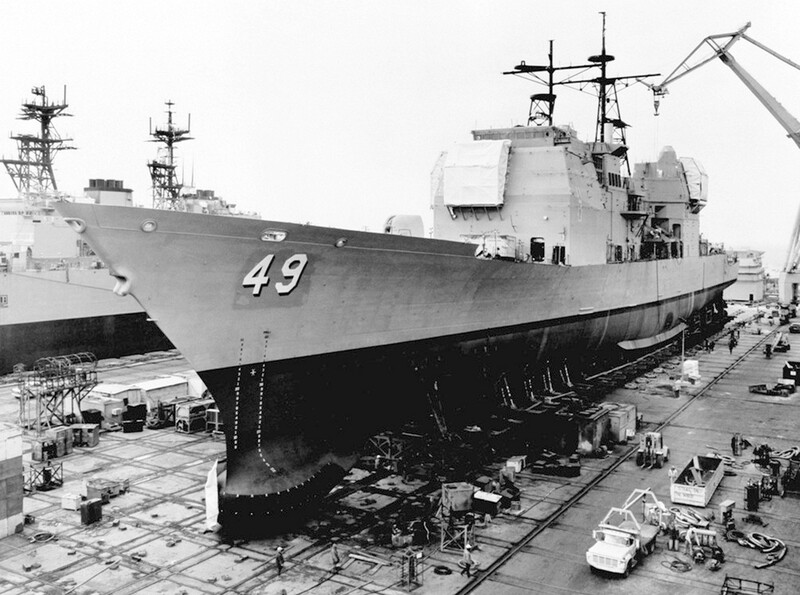 04014933 334k A port bow view of the Aegis guided missile cruiser USS Vincennes (CG 49) in dry-dock at Ingalls Shipbuilding. 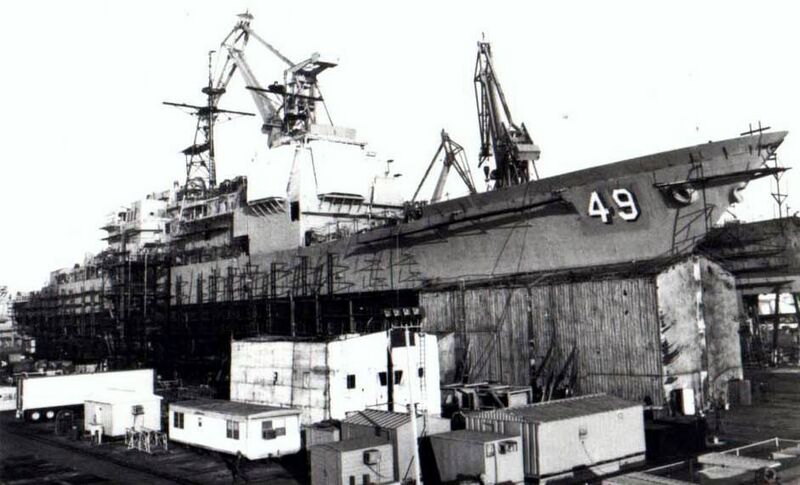 The Vincennes was moved 700 feet from the construction area to the dry-dock in preparation for its launch on 14 January 1984. 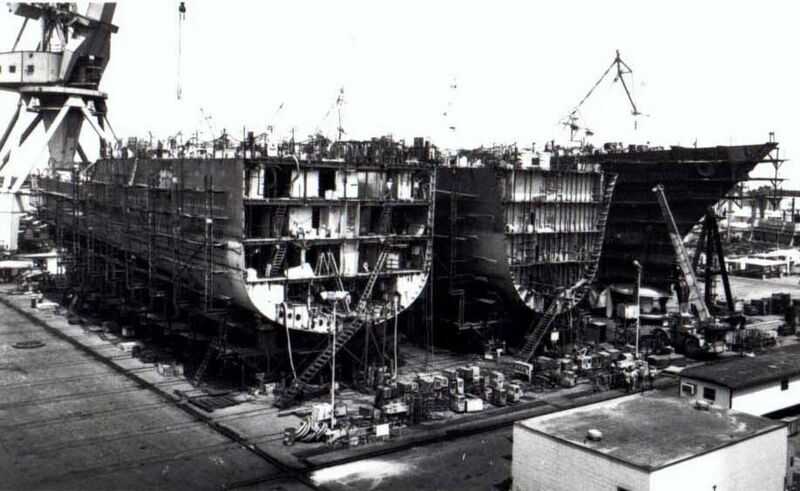 The ship is scheduled for commissioning on 14 April 1985. 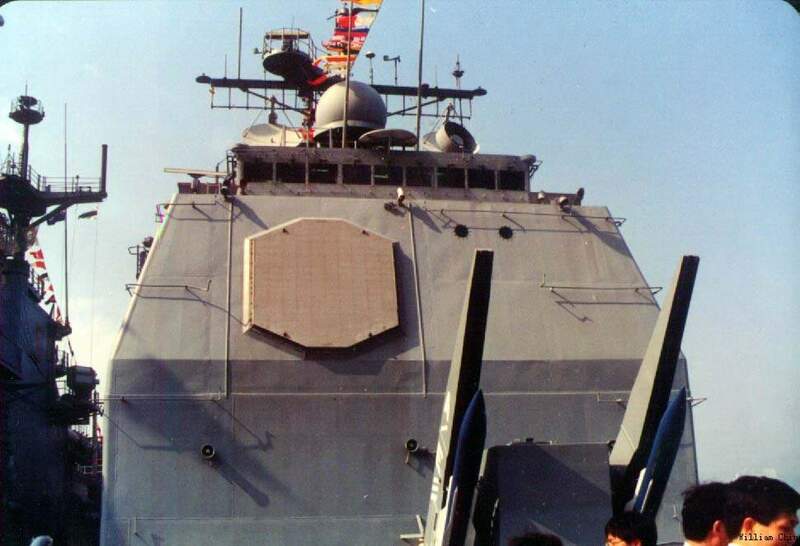 Starboard quarter view while on Builders Sea Trials in the Gulf of Mexico, May 1985. 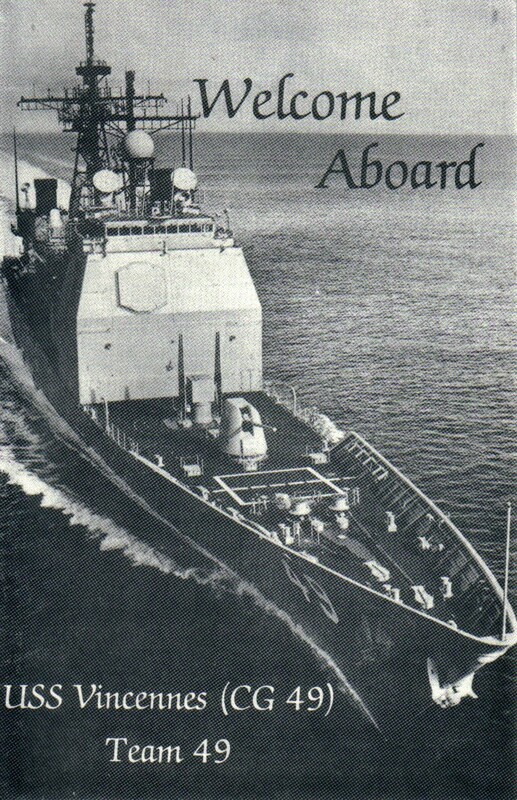 Photo by Litton Shipbuilding Co.
Starboard bow view while on Builders Sea Trials in the Gulf of Mexico, 5 June 1985. 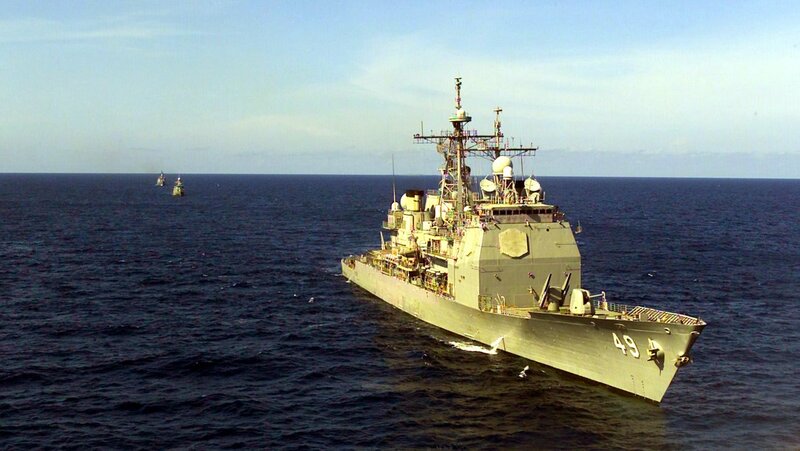 AUSTRALIA, 6 March 1998 - The amphibious assault ship USS Belleau Wood (LHA 3) refuels the guided-missile cruiser USS Vincennes (CG 49) during an underway replenishment (UNREP) off the coast of Australia. The BELLEAU WOOD and VINCENNES are participating in Exercise VALIANT USHER '98, a training exercise with Australian military forces. 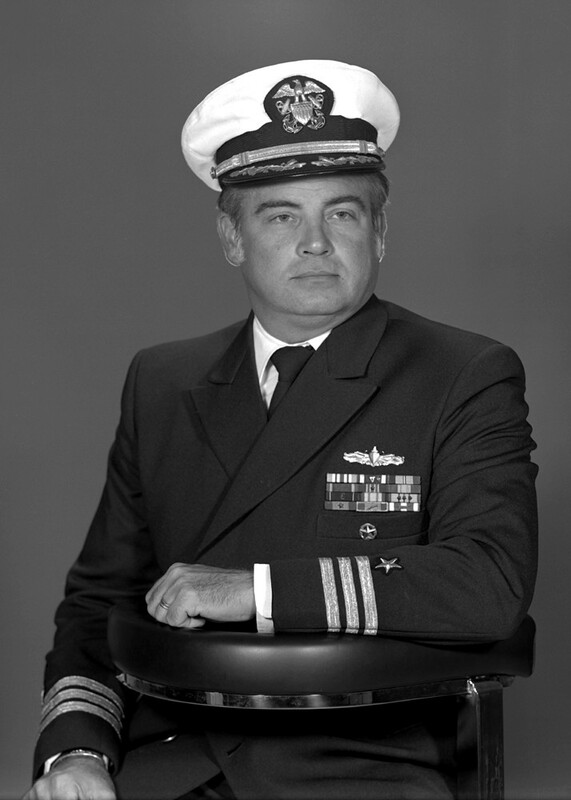 U.S. Navy photo #980306-N-5702K-004 by: PH3 Justin A. Kahkosko. 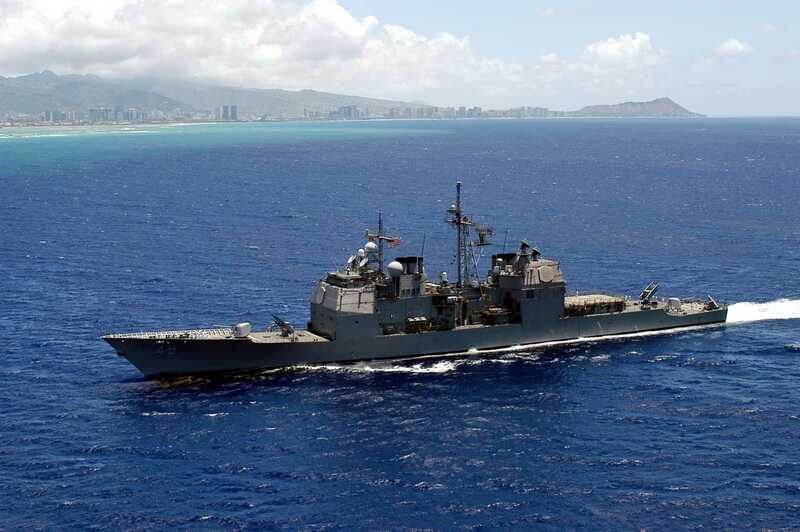 Santa Rita, Guam, 20 April 2001 - USS Vincennes (CG 49), a member of USS Kitty Hawk (CV 63) battle group, makes her way through Apra Harbor to participate in the celebration of the 40th Anniversary of the Commissioning of the Carrier. 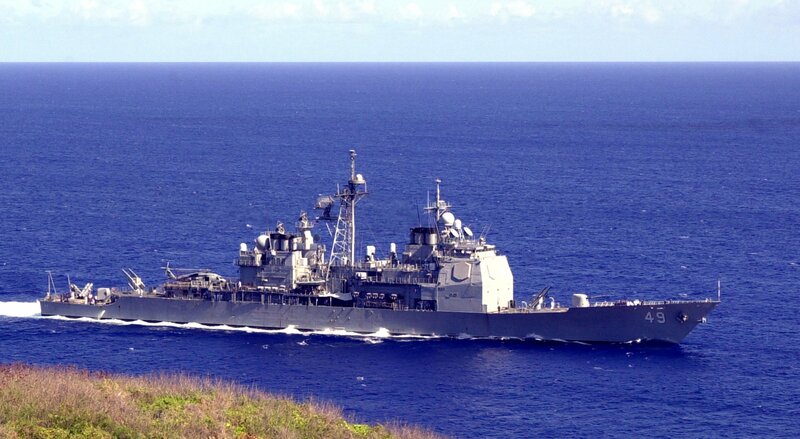 The Guided Missile Cruiser is forward deployed from Yokosuka, Japan. 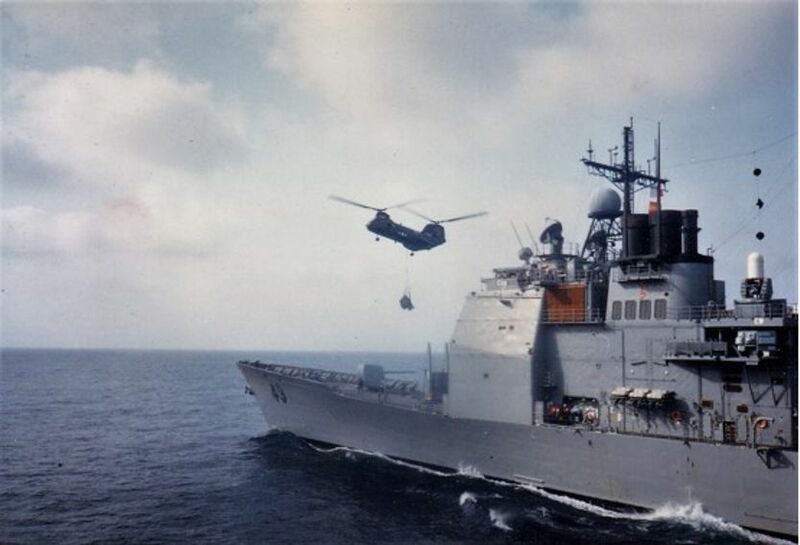 U.S. Navy Photo #010420-N-5686B-003 by Photographers Mate 2nd Class Crystal M. Brooks. 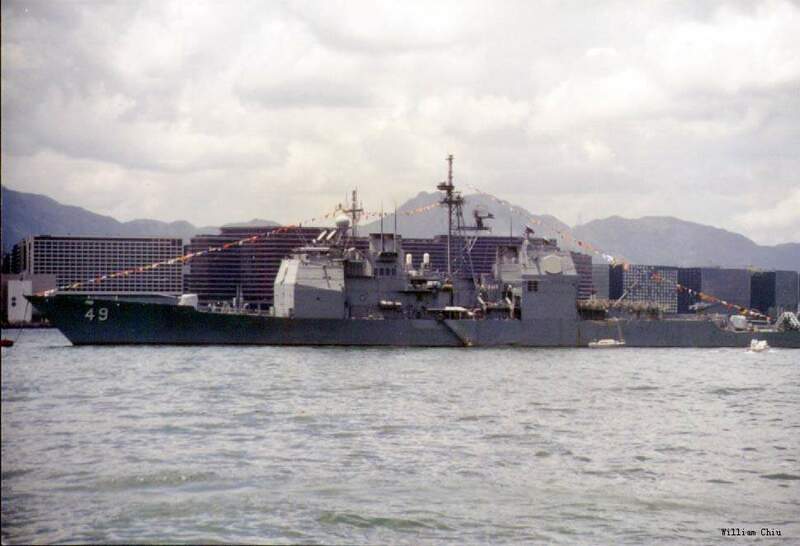 Yokosuka, Japan, 18 December 2001 - USS Vincennes (CG 49) returns to Yokosuka, Japan, to where she is forward-deployed. 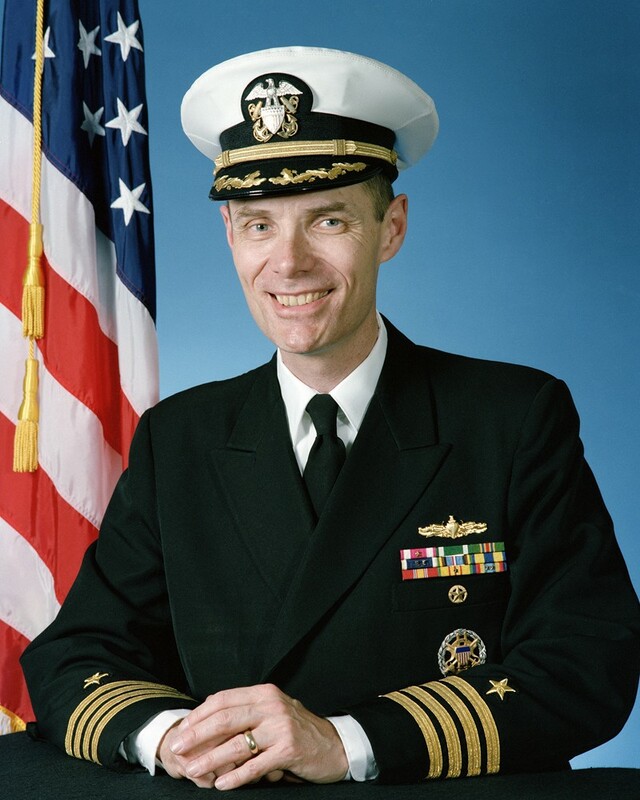 Vincennes, part of the USS Kitty Hawk battle group, is returning from a deployment in support of Operation Enduring Freedom. 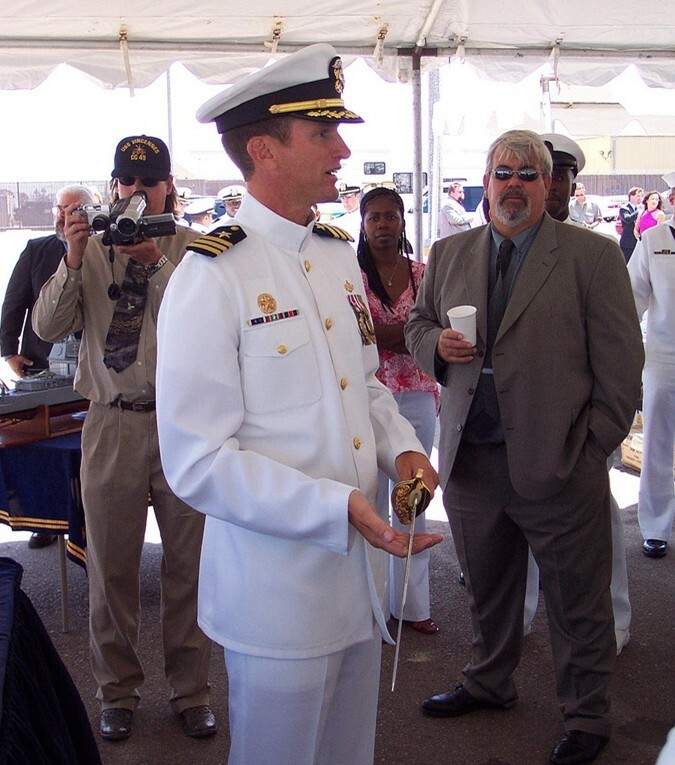 U S. Navy photo #011218-N-6811L-005 by Photographer's Mate 2nd Class David A. Levy. 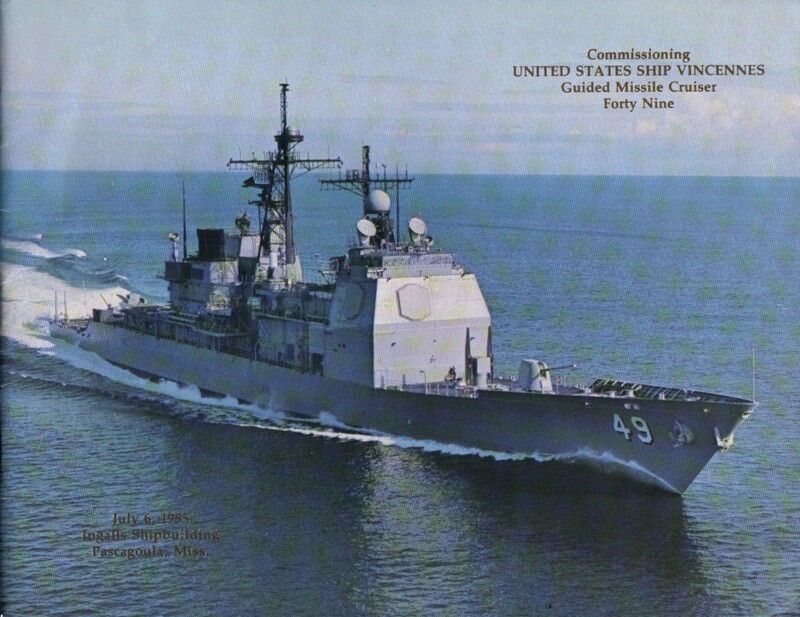 12 June 2003 - The guided missile cruiser USS Vincennes (CG 49) conducts training operations in the Gulf of Thailand during the Thailand phase of exercise Cooperation Afloat Readiness and Training (CARAT). 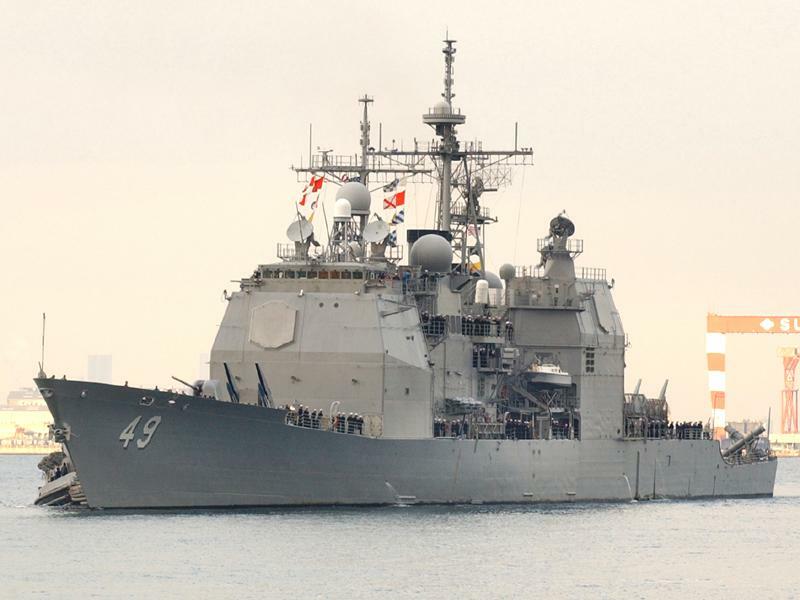 Vincennes is forward deployed to Yokosuka, Japan. 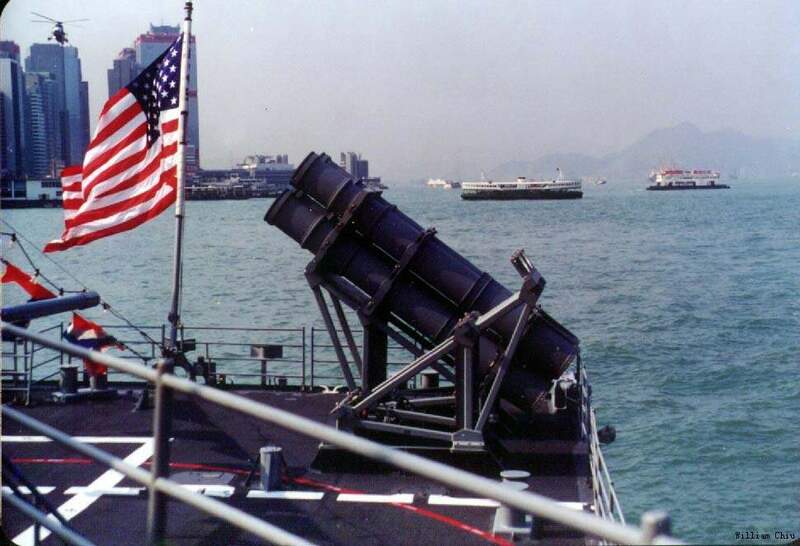 CARAT is a regularly scheduled series of bilateral military training exercises between the U.S. and several Association of Southeast Asian Nations (ASEAN) countries. U.S. Marine Corps photo #030612-M-7403H-053 by Pfc. 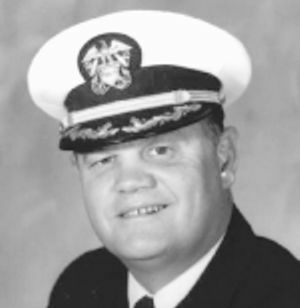 Thomas D. Hudzinski. U.S. Marine Corps photo #030612-M-7403H-067 by Pfc. 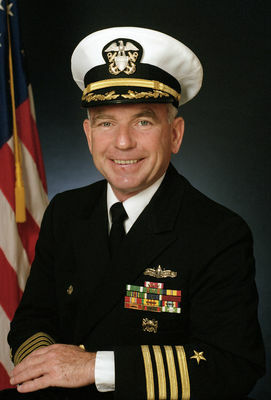 Thomas D. Hudzinski. 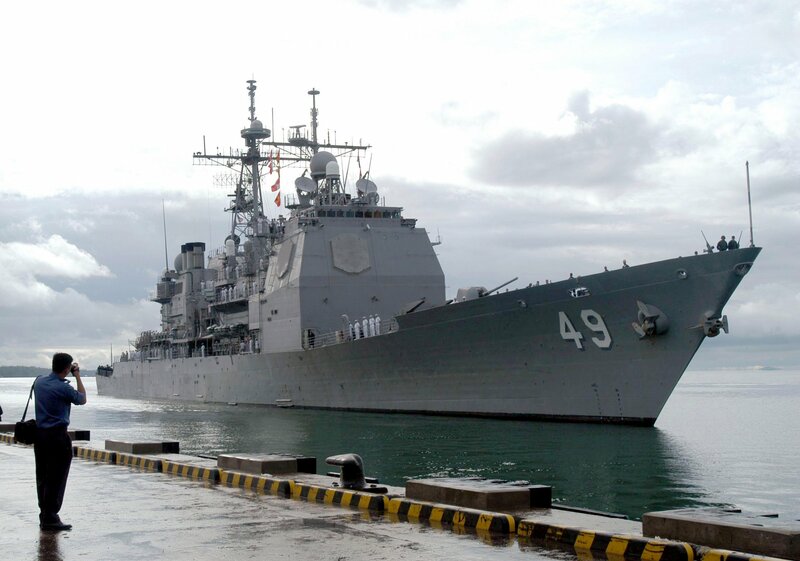 Muara, Brunei, 23 June 2003 - The guided missile cruiser USS Vincennes (CG 49) arrives for the week-long Brunei phase, of exercise Cooperation Afloat Readiness and Training (CARAT). During the exercise ships will participate in a variety of at-sea training evolutions with the Royal Brunei Armed Forces. 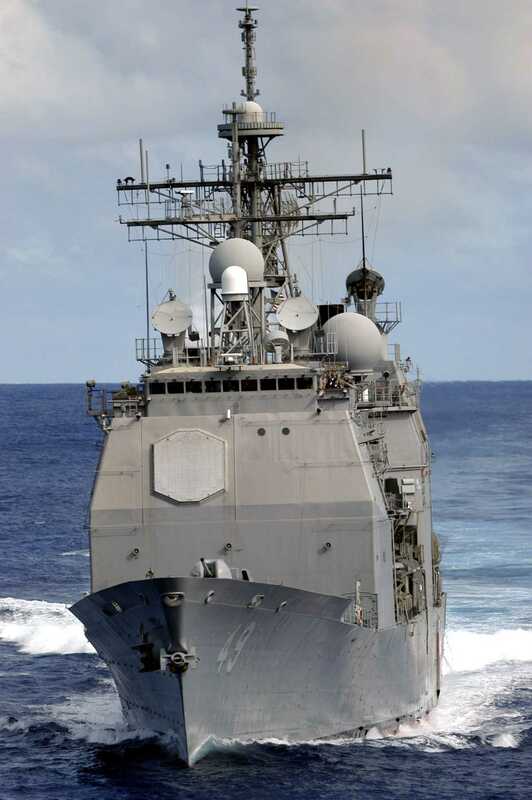 CARAT is a regularly scheduled series of bilateral military training exercises between the U.S. and several Association of Southeast Asian Nations (ASEAN). 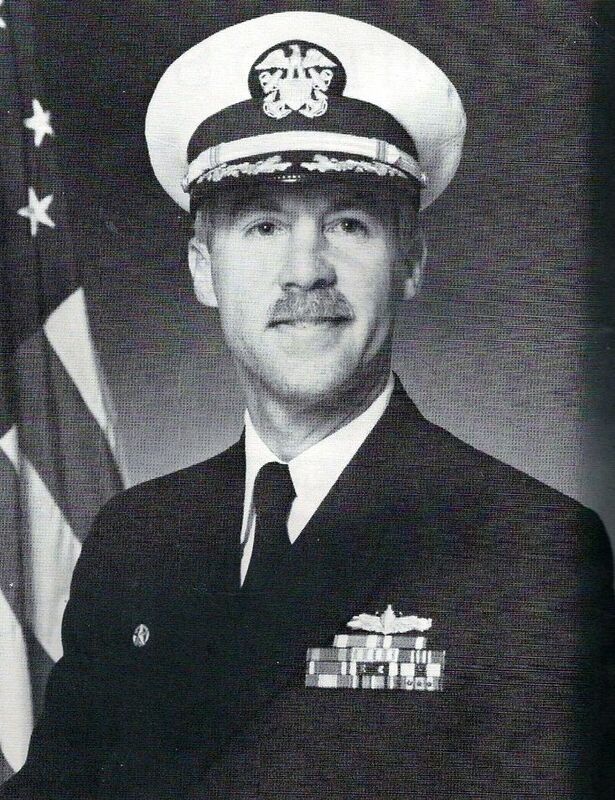 U.S. Navy photo #030623-N-0493B-001 by Lt. Chuck Bell. 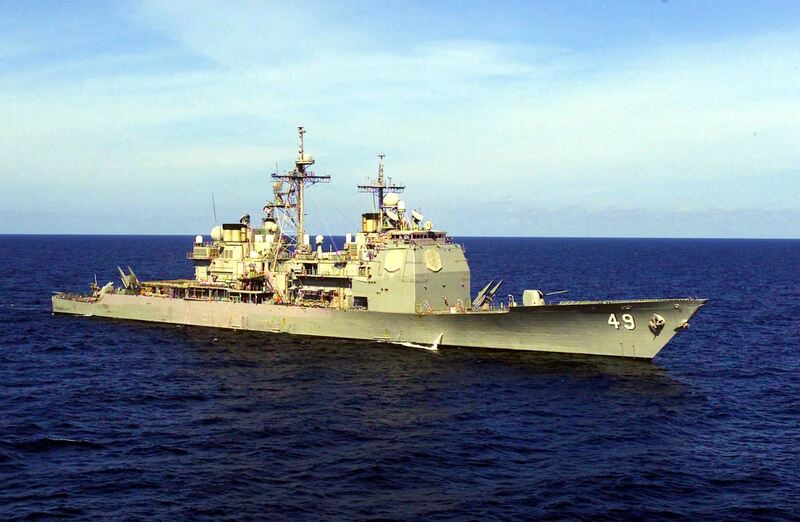 Muara, Brunei, 23 June 2003 - With the guided missile cruiser USS Vincennes (CG 49) pierside, the rescue and salvage ship USS Safeguard (ARS 50) arrives here for the week-long Brunei phase, of exercise Cooperation Afloat Readiness and Training (CARAT). U.S. Navy photo #030623-N-0493B-002 by Lt. Chuck Bell. 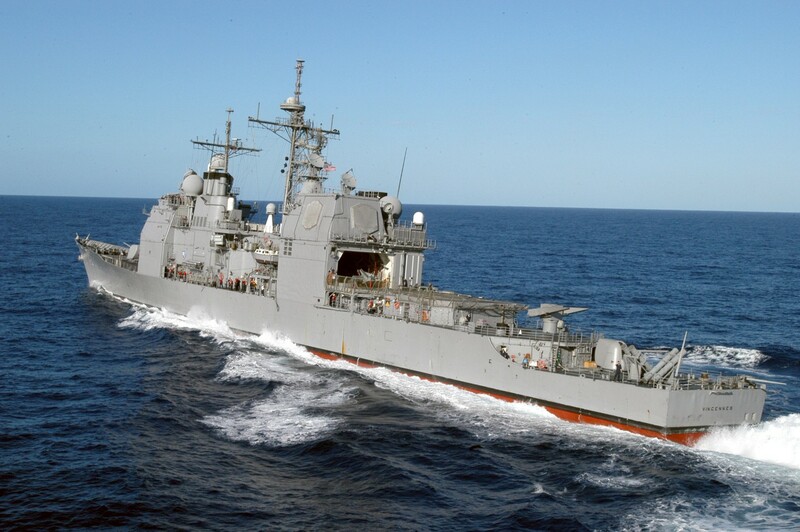 7th Fleet Area of Responsibility (AOR), 17 April 2004 - The Ticonderoga-class guided missile cruiser USS Vincennes (CG 49) steams away from USS Kitty Hawk (CV 63) after an underway replenishment (UNREP) evolution. 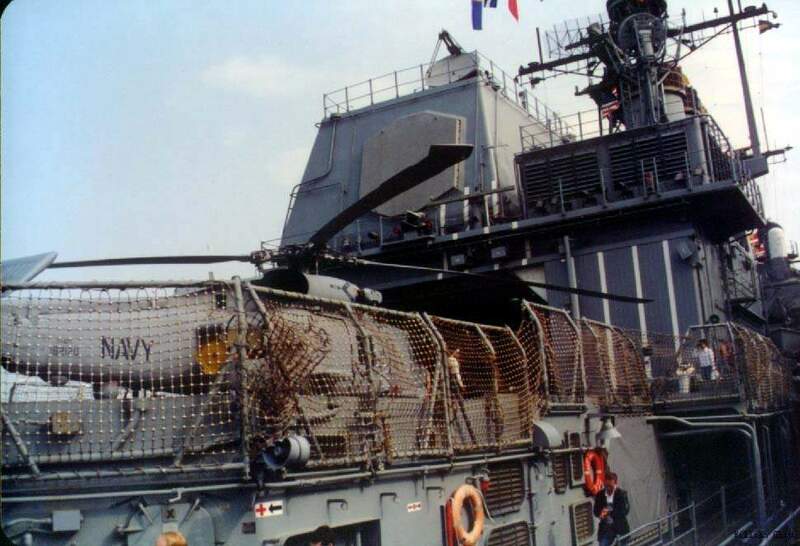 Although not a replenishment ship, Kitty Hawk can provide other ships in the Carrier Strike Group (CSG) with fuel and supplies as necessary. Underway in the 7th Fleet Area of Responsibility (AOR), Kitty Hawk is America's oldest active aircraft carrier, and the U.S. Navy's only forward-deployed carrier. U.S. Navy photo #040417-N-5781F-002 by Photographer's Mate Airman Bo J. Flannigan. 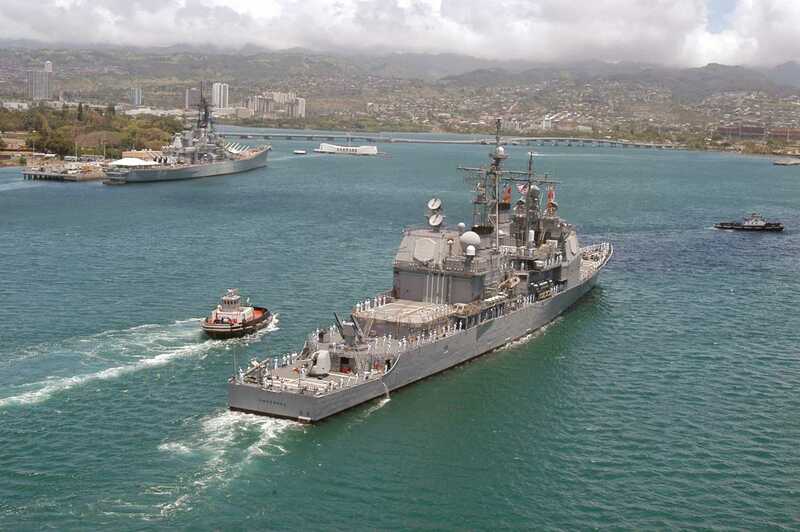 Pacific Ocean, 4 September 2004 - The Ticonderoga-class cruiser USS Vincennes (CG 49) prepares to come alongside the conventionally powered aircraft carrier USS Kitty Hawk (CV 63) for fuel during a replenishment at sea (RAS). 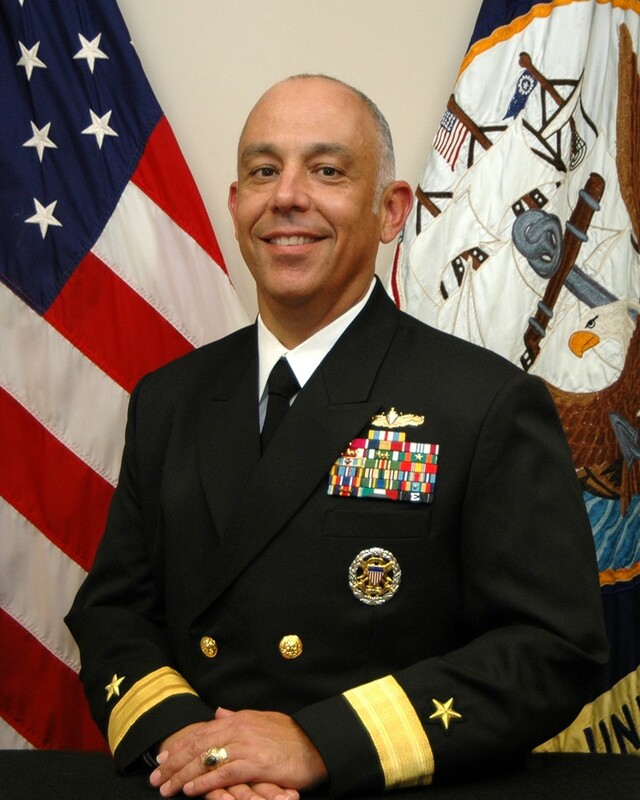 Vincennes is currently operating in the 7th Fleet area of responsibility (AOR) as part of the Kitty Hawk Carrier Strike Group (CSG). 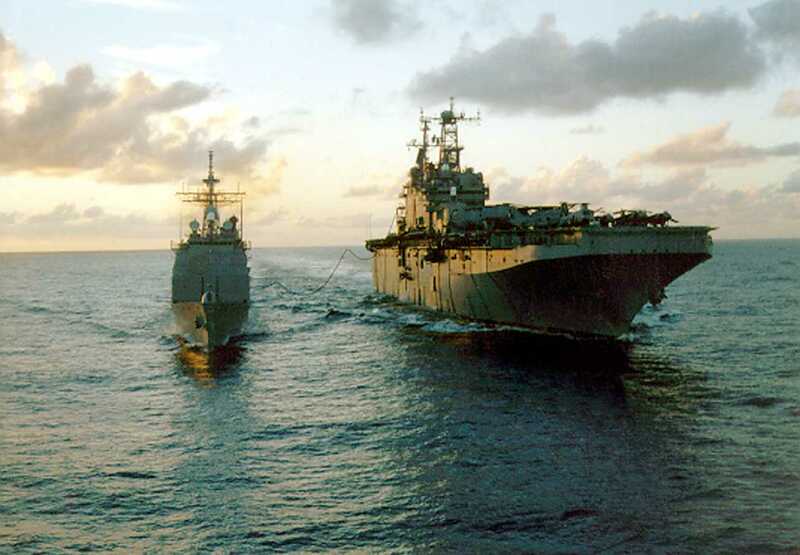 Pacific Ocean, 4 September 2004 - The Ticonderoga-class cruiser USS Vincennes (CG 49) and the conventionally powered aircraft carrier USS Kitty Hawk (CV 63) conducts a replenishment at sea (RAS). 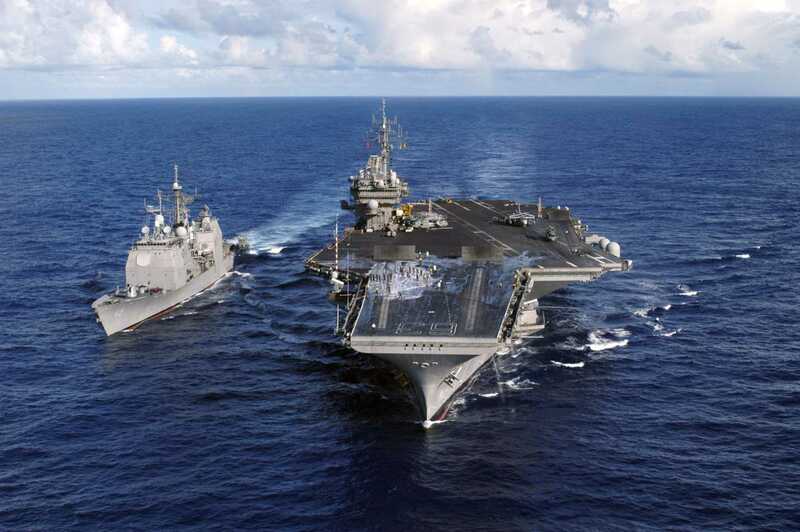 Kitty Hawk has the capability to transfer fuel and supplies to other ships in a Carrier Strike Group (CSG). 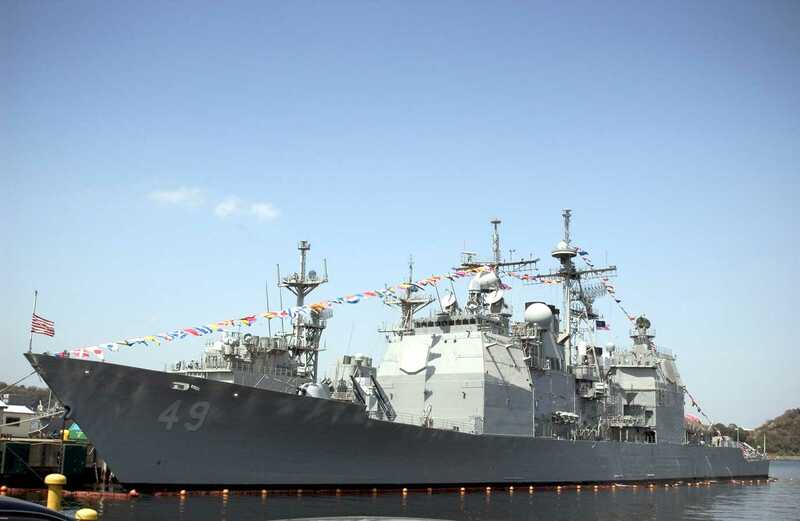 Yokosuka, Japan, 5 April 2005  The Ticonderoga-class guided missile cruiser USS Vincennes (CG 49) sits moored in full dress at the Dock Master Pier on board Commander Fleet Activities Yokosuka, Japan befor her departure. 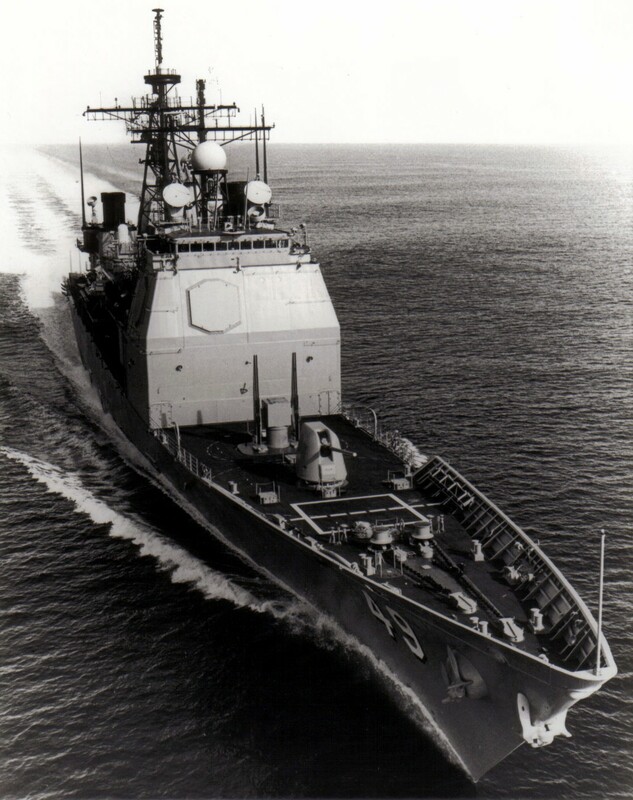 Vincennes, the third ship in the Ticonderoga-class, was launched the April 14, 1984. 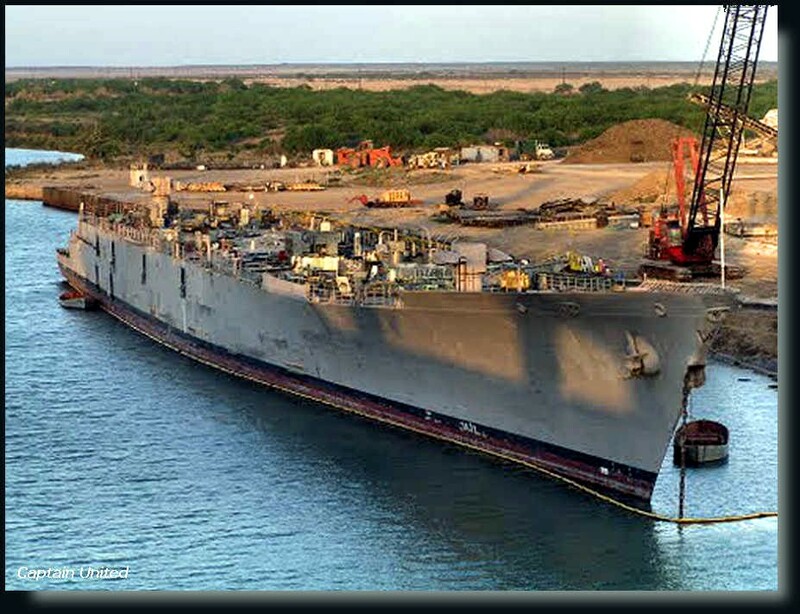 She will make one last underway period as she makes her way to Naval Station San Diego, Calif., for decommissioning. Yokosuka, Japan, 7 April 2005 - The Ticonderoga-class guided missile cruiser USS Vincennes (CG 49) is saluted by Commander, Carrier Strike Group Five (CSG-5), Rear Adm. James D. Kelly, left, as she pulls away from her forward deployed operating base, Commander Fleet Activities Yokosuka, Japan (CFAY) for the last time. 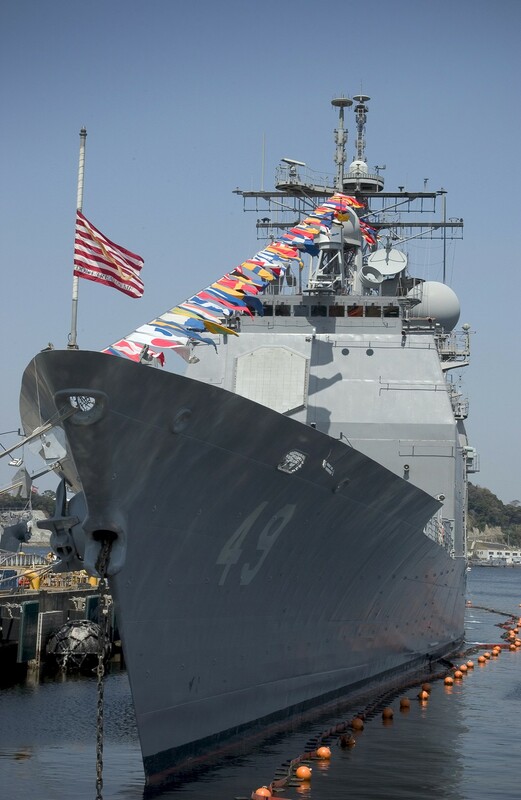 Vincennes departed Yokosuka for Naval Station San Diego, CA, where she will be decommissioned. 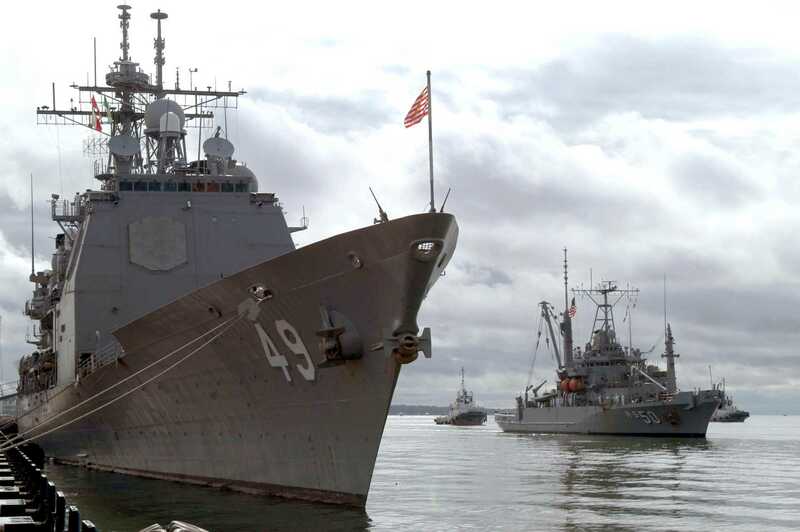 The guided missile destroyer USS Lassen (DDG 82) will replace her later this year. 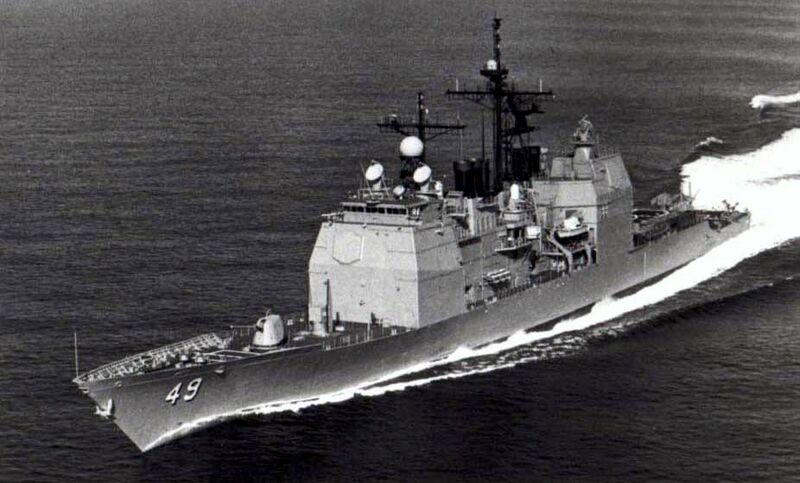 Vincennes, the third ship in the Ticonderoga-class, was launched the 14 April 1984. 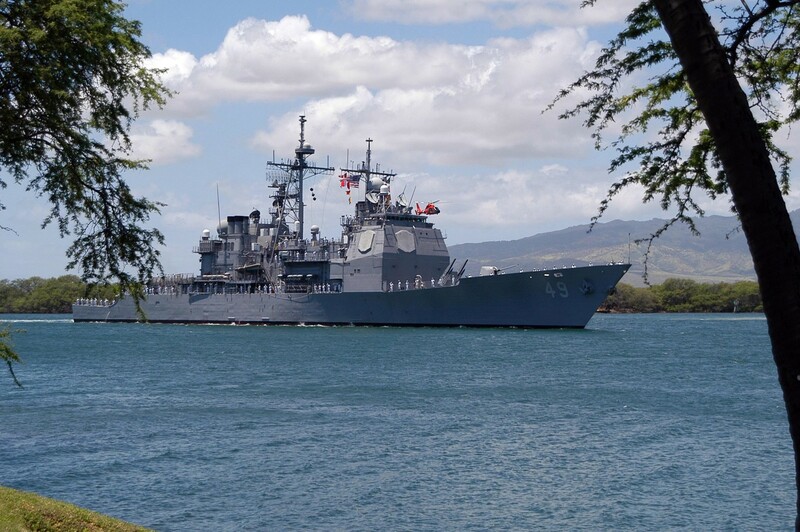 Pearl Harbor, Hawaii, 15 April 2005 - The guided-missile cruiser USS Vincennes (CG 49) heads toward the entrance of Pearl Harbor for a scheduled port visit. 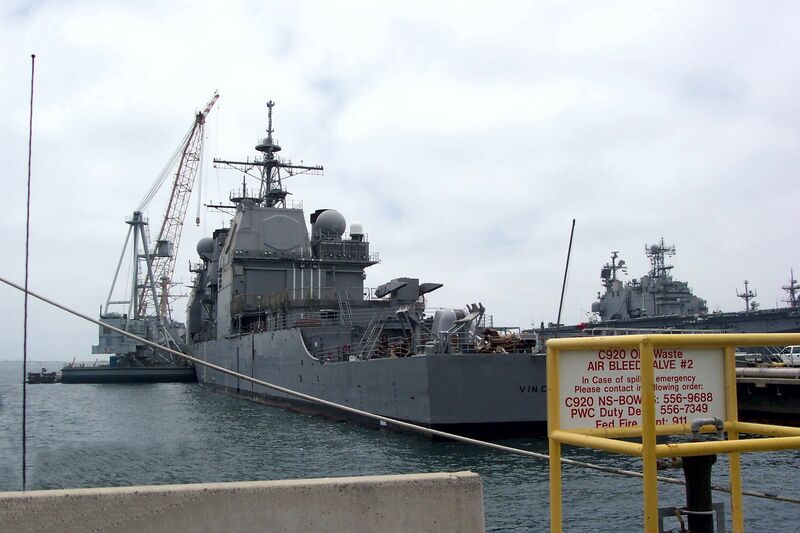 This is the Vincennes last port visit before the ships decommissioning in San Diego, CA. 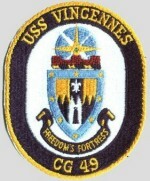 Vincennes was commissioned July 1985. U.S. Navy photo #050415-N-8157F-047 by Photographer's Mate 1st Class Robert C. Foster Jr.
U.S. Navy photo #050415-N-8157F-106 by Photographer's Mate 1st Class Robert C. Foster Jr.
Pearl Harbor, Hawaii, 15 April 2005 - The guided missile cruiser USS Vincennes (CG 49) pulls into Pearl Harbor, Hawaii for a scheduled port visit. 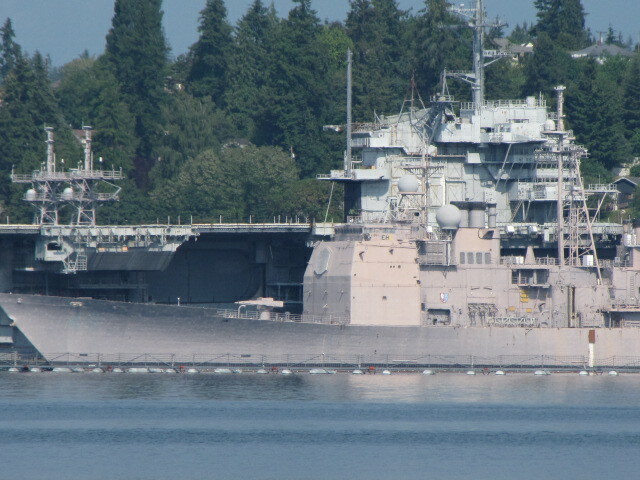 This is Vincennes last port visit before her decommissioning in San Diego, CA. 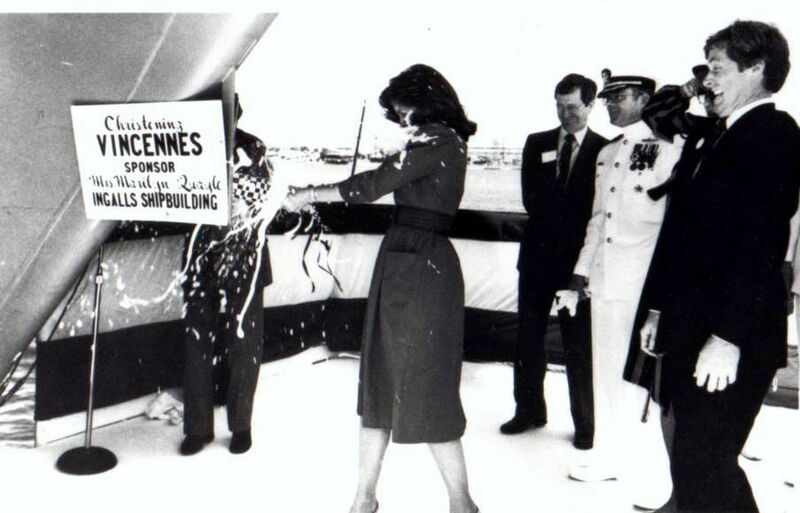 Vincennes, the third ship in the Ticonderoga-class, was launched the 14 April 1984 and commissioned in July 1985. 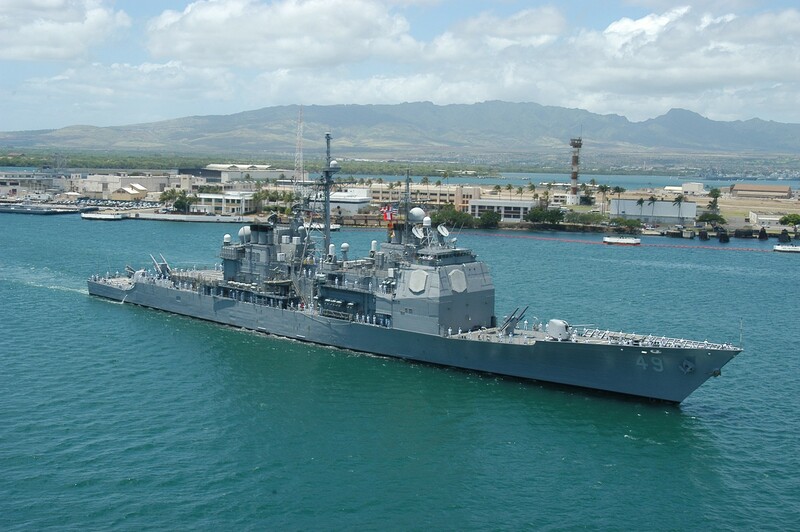 U.S. Navy photo #050415-N-8157F-104 by Photographer's Mate 1st Class Robert C. Foster Jr.
Pearl Harbor, Hawaii, 15 April 2005 - The guided missile cruiser USS Vincennes (CG 49) pulls into Pearl Harbor, Hawaii for a scheduled port visit. 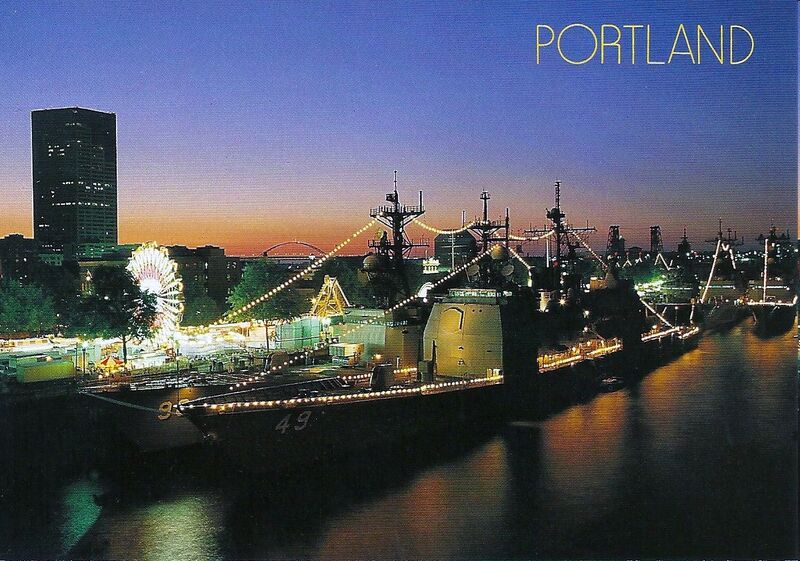 This is Vincennes last port visit before her decommissioning in San Diego, CA Vincennes, the third ship in the Ticonderoga-class, was launched the 14 April 1984 and commissioned in July 1985. U.S. Navy photo #050415-N-8937A-029 by Photographer's Mate 3rd Class Ian W. Anderson. 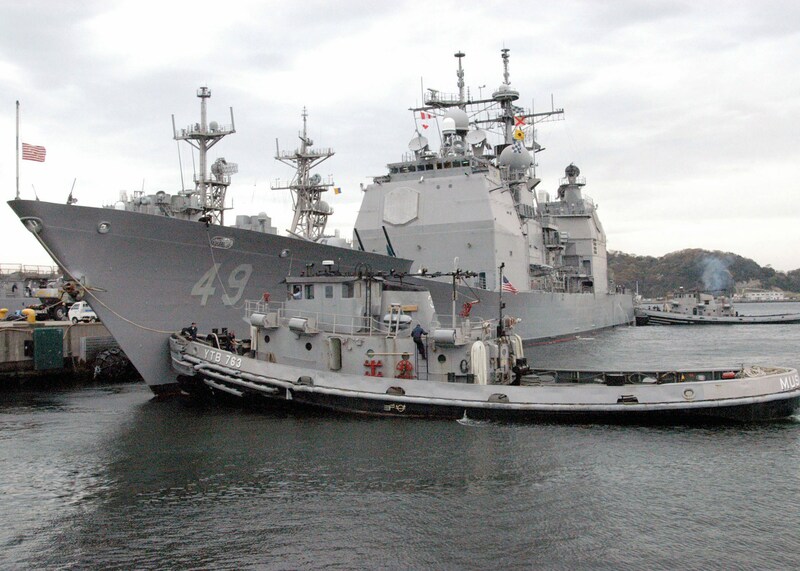 Yokosuka, Japan 5 April 2005 - The Ticonderoga-class guided missile cruiser USS Vincennes (CG 49) sits moored in full dress at the Dock Master Pier on board Commander Fleet Activities Yokosuka, Japan for her decommissioning. 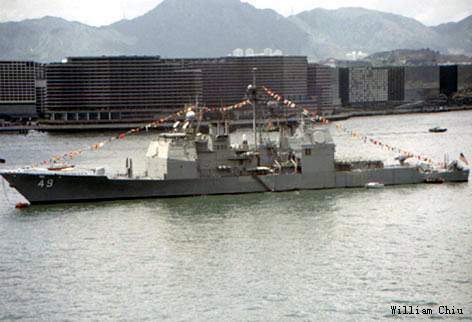 Vincennes, the third ship in the Ticonderoga-class, was launched the April 14, 1984. 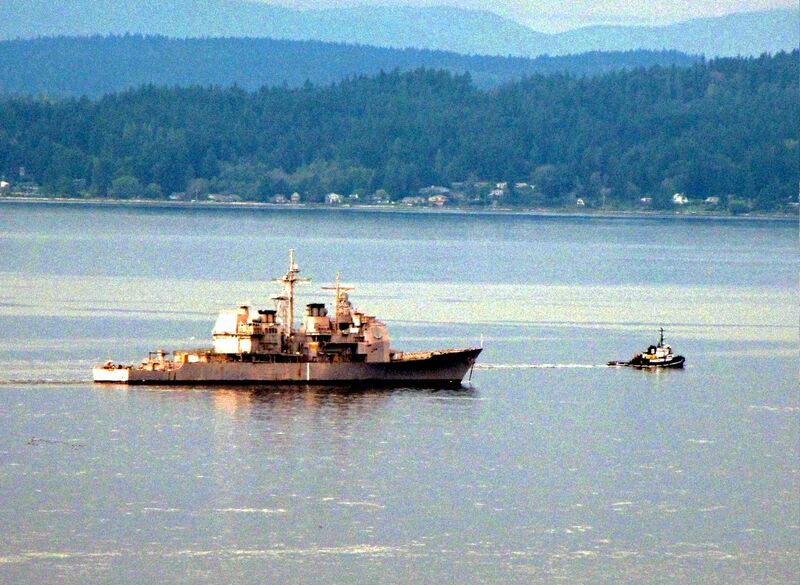 She will make one last underway period as she makes her way to Naval Station San Diego, CA, for decommissioning. U.S. Navy photo #050405-N-9851B-012 by Photographer's Mate 2nd Class John L. Beeman. 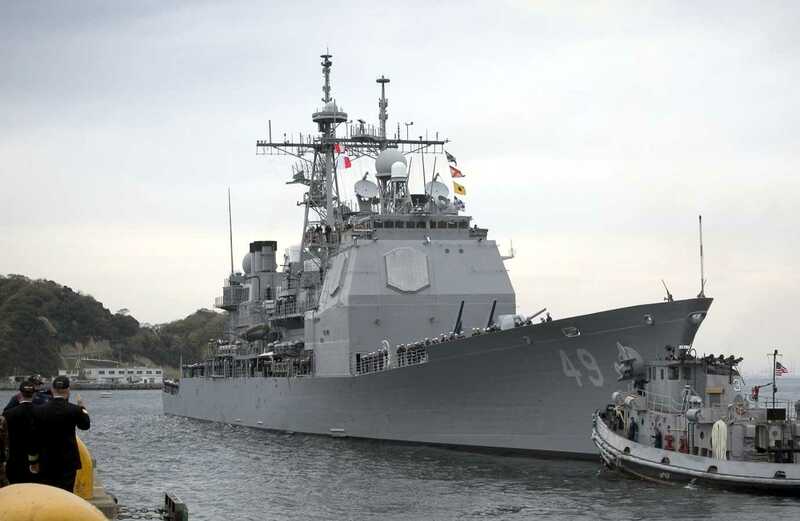 Muskegon (YTB 763) assists the guided missile cruiser Vincennes (CG 49) away from a pier at Commander, Fleet Activities Yokosuka, Japan(CFAY), for the last time. 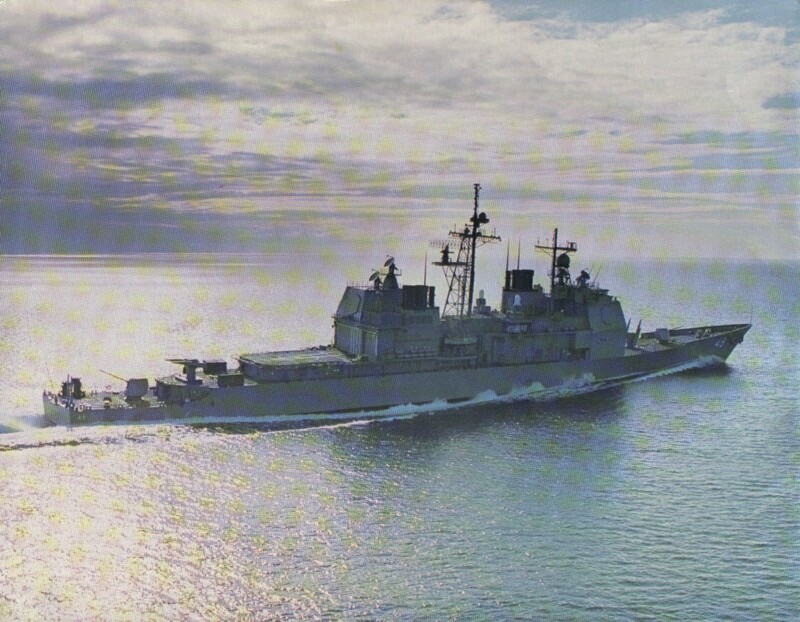 Vincennes departed Yokosuka for Naval Station San Diego, CA, where she will be decommissioned, 25 June 2005. NS026190 96k June 2009. 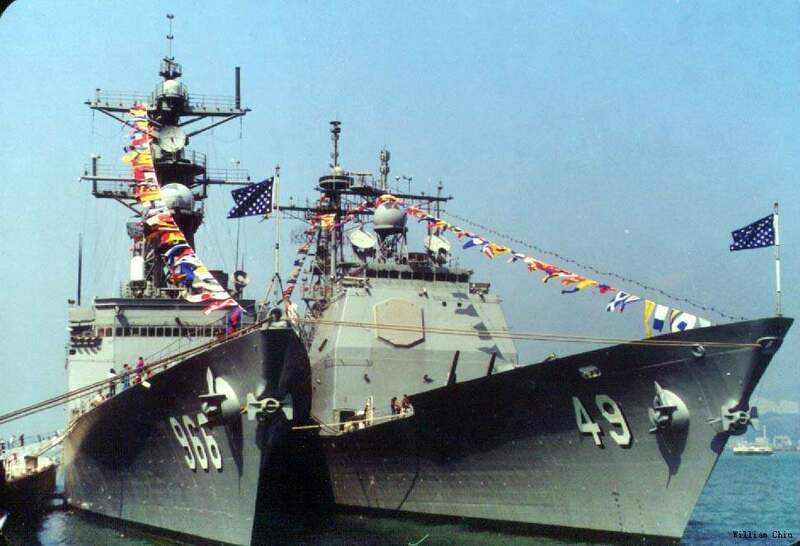 Ex-Vincennes (CG 49) and ex-Ranger (CV 61). 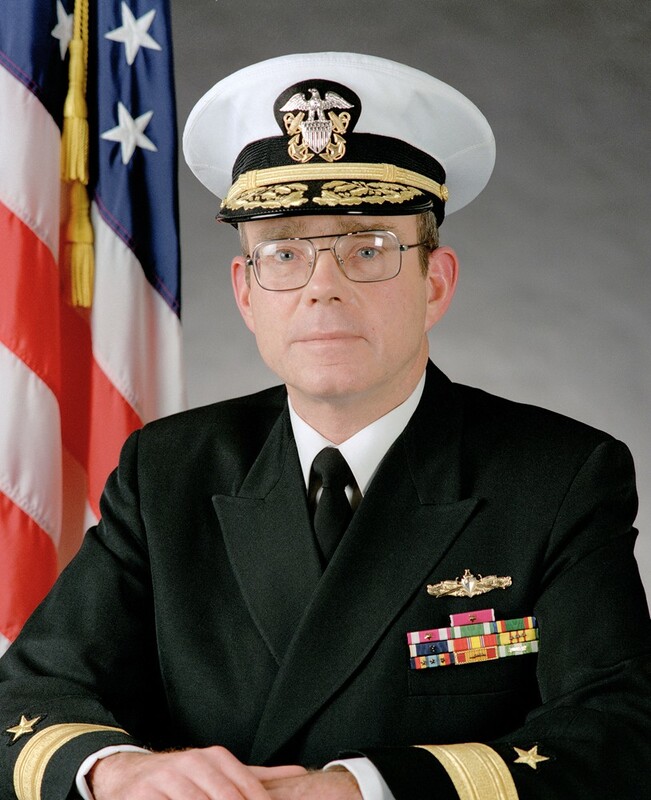 Photos by Mike Sweet, via Scott Roche (USS Ranger '87–89; USS Independence '89–91). June 2009. 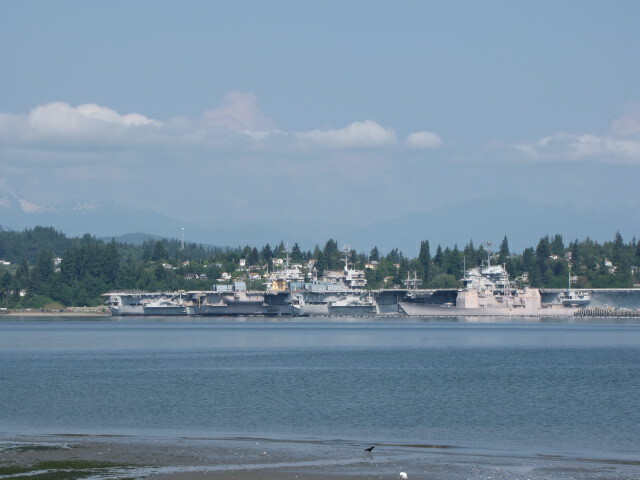 Left to right: ex-Independence (CV 62), ex-Constellation (CV 64), ex-Ranger (CV 61), and ex-Vincennes (CG 49). 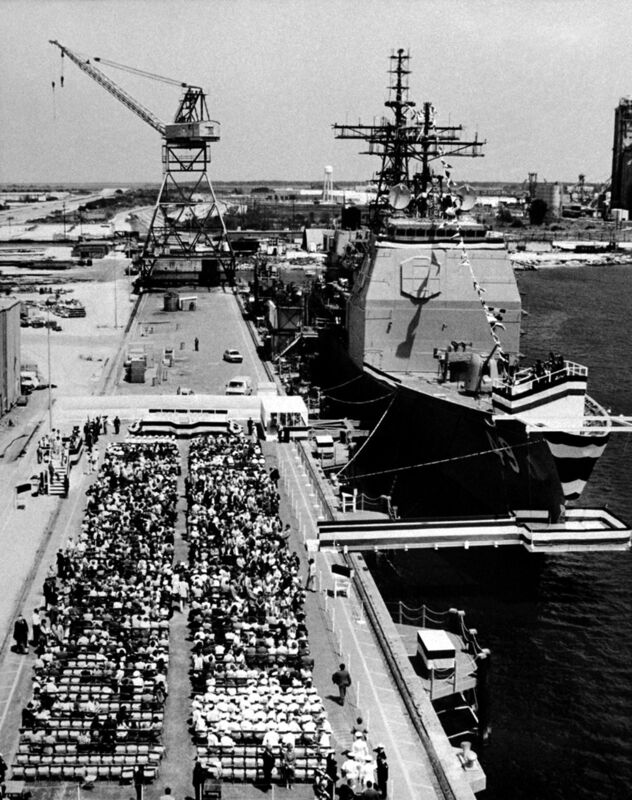 Photos by Mike Sweet, via Scott Roche (USS Ranger '87–89; USS Independence '89–91). June 2009. 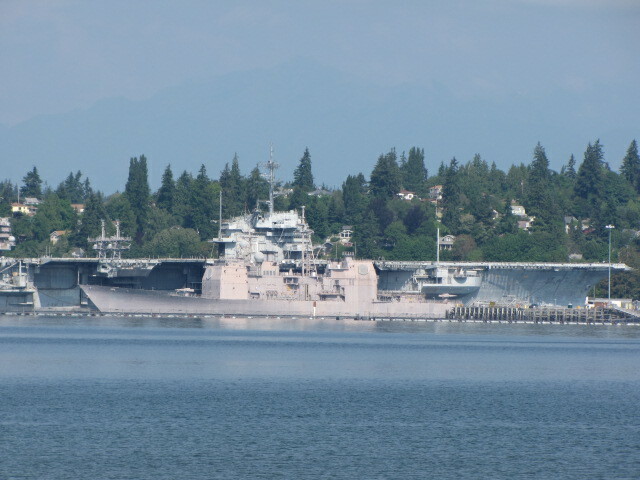 Ex-Vincennes (CG 49), foreground, and ex-Ranger (CV 61), background. 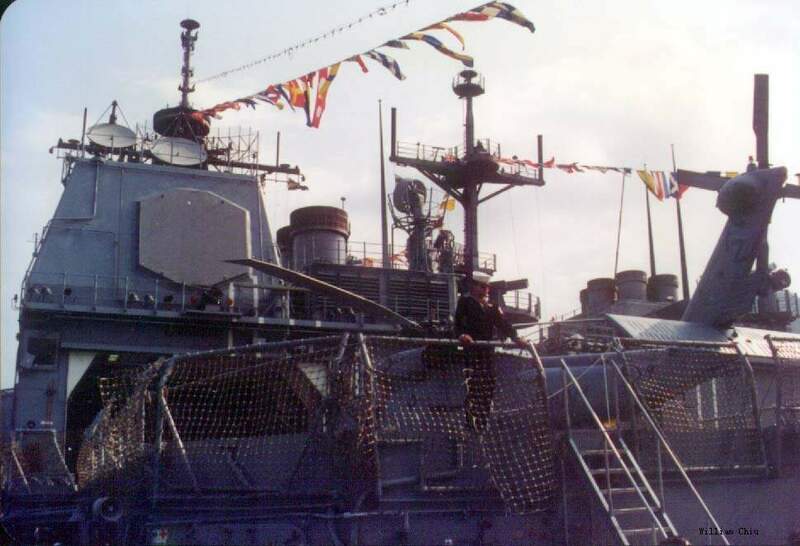 Masts of ex-Sides (FFG 14) and ex-George Philip (FFG 12) can be seen at left, beyond Ranger.